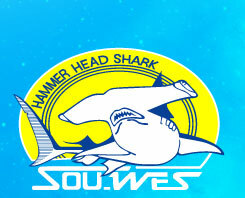 In 1986 Sou-Wes owner and dive master Kihachiro Aratake discovered what appeared to be the remains of a lost civilization under the seas surrounding the craggy and mysteriously beautiful island of Yonaguni. 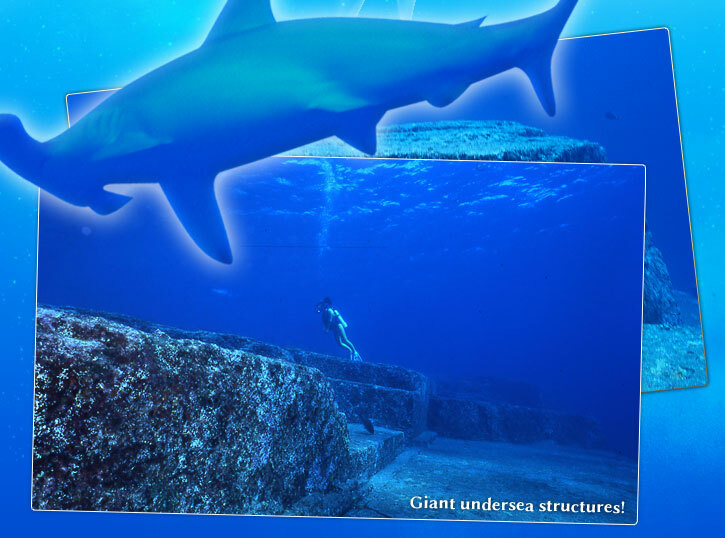 Having devoted a lifetime to the research of these undersea structures no one is better equipped to guide divers round the site and uncover the secrets of an ancient and long-lost civilization. 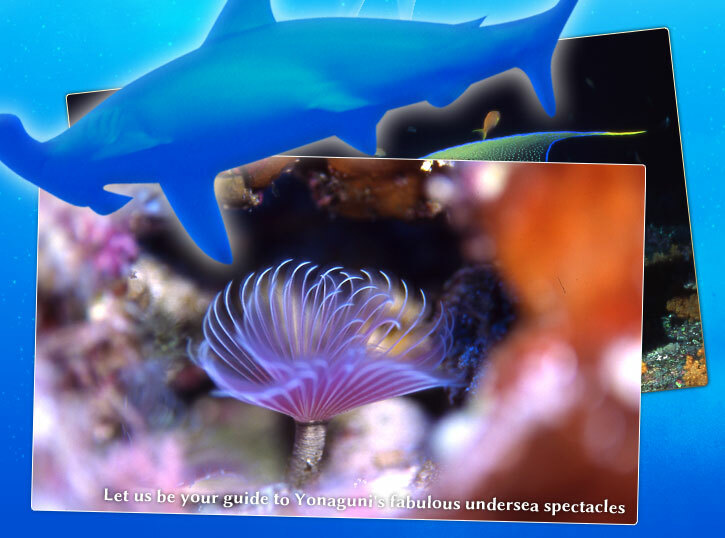 We offer fun dives and trial dives to the site. 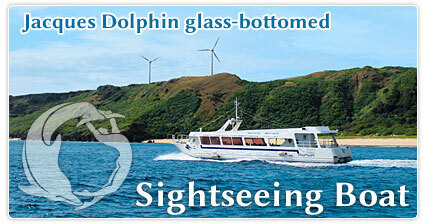 Alternatively you can view the site from our glass-bottomed sightseeing boat that departs daily. 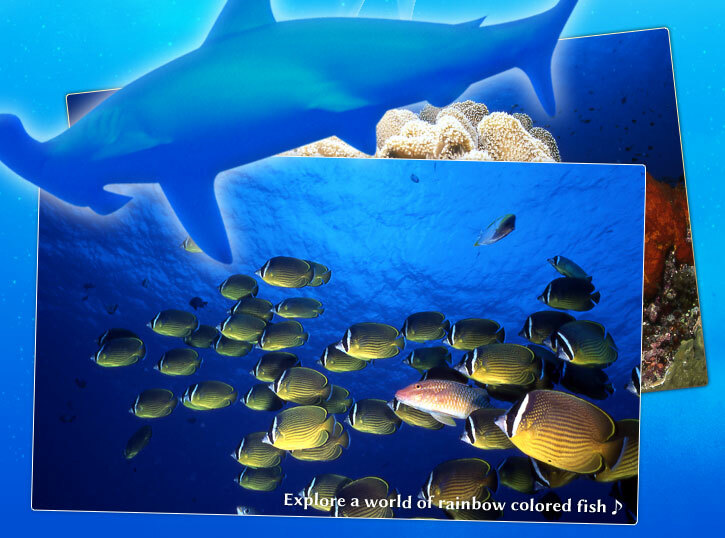 Come and see this underwater Machu Picchu for yourself!. 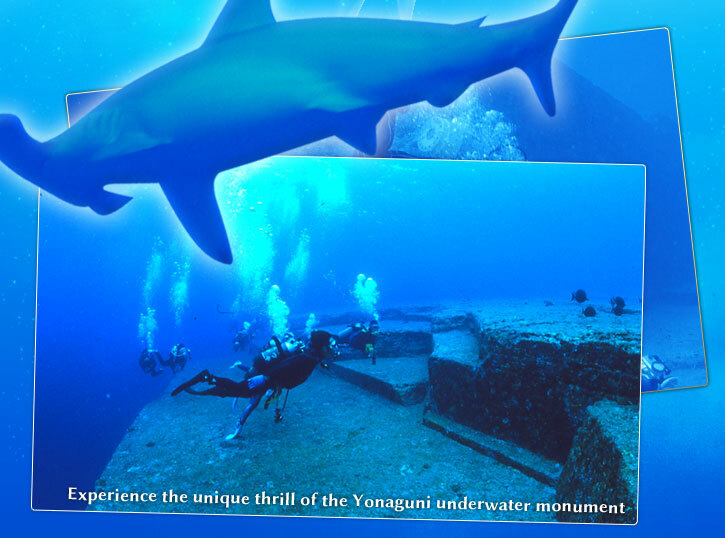 Yongunijima is one of the only places in the world where divers can see schools of hammerhead sharks on a daily basis. 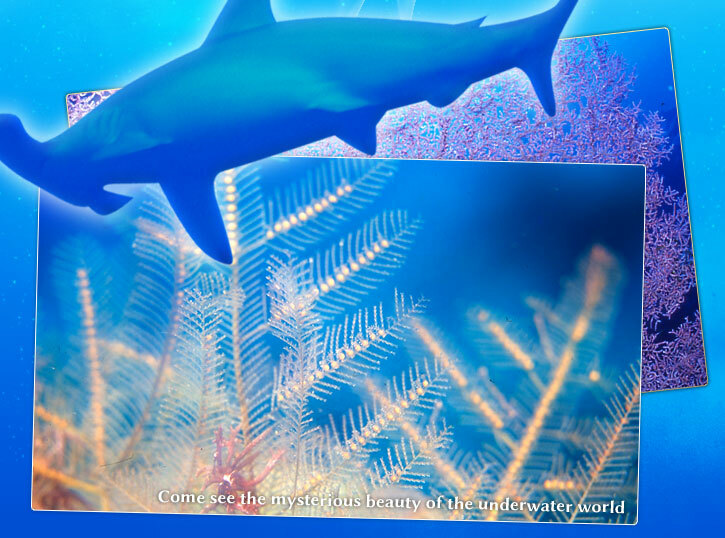 Our team of experienced divers will guide you to the best points around the island for shark-watching. 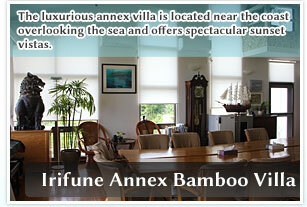 We offer accommodation and meals at Hotel Irifune and the Irifune Annex Bamboo Villa. 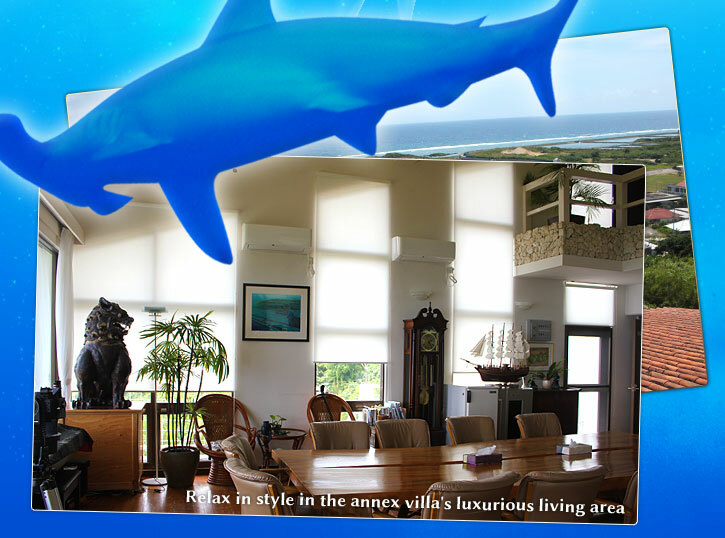 The villa offers superb views of the sea with a garden, balcony seating and karaoke facilities ideal for barbeques and parties. 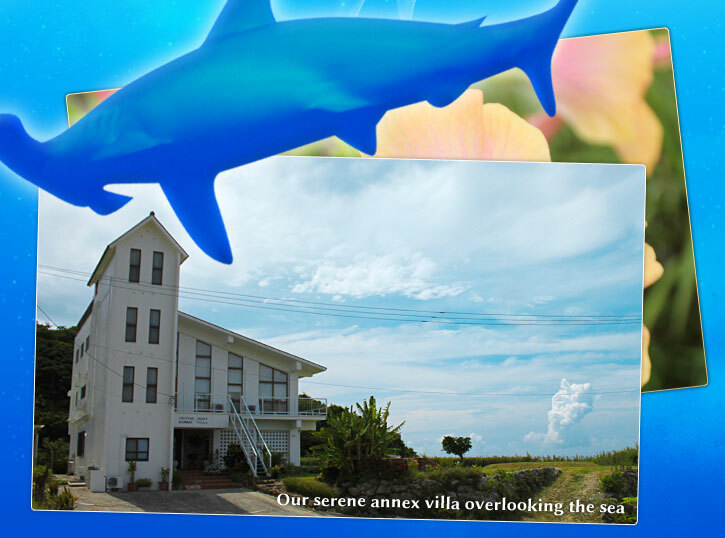 Self-catering is also available as an option at the villa. 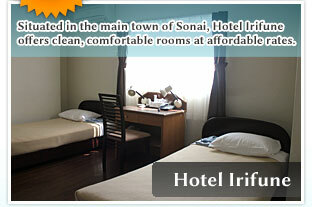 Click here for room rates. ©2011 Sou-Wes Yonguni & Hotel Irifune All rights reserved.